Today we are participating in the Love One Today campaign by the Hass Avocado Board. 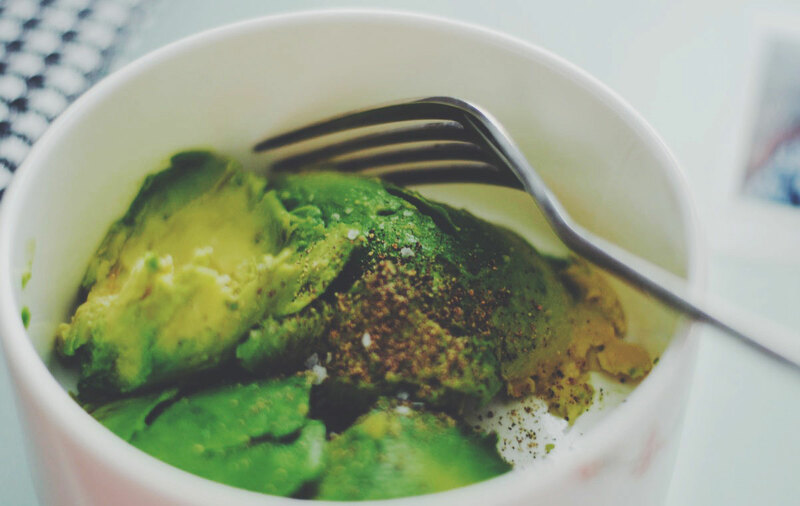 They have asked RDs to share some of their reasons for loving avocados, and I jumped on board with no hesitation! See, I love avocados for many many reasons. Avocados are cute little green fruits (yes, they are fruit) that are creamy and decadent. They go well with any dish. Both savory and sweet can make the cut. This means that they can be used for a variety of reasons and can fit into most everyone’s diet (even the little ones love them mashed up)! Not only are they 100% fresh and natural, but they are loaded with nutrition. One-fifth of a medium avocado (1 oz.) has only 50 calories. Avocados contain 81 micrograms of the carotenoids lutein + zeaxanthin per 1 oz. serving (30 g). Lutein and zeaxanthin are carotenoids which research suggest may help maintain eye health as we age . Avocados contribute good fats to one’s diet, providing 3 grams of monounsaturated fat and 0.5 grams of polyunsaturated fat per 1oz serving. Contain less than 1 g of sugar per 1 oz. serving. Call me a purist, but I often enjoy them as pictured above. Seasoned with kosher salt and black pepper. I typically eat the whole thing too! It makes for a great healthy snack and the fat keeps me fuller longer. I love using avocados in smoothies. They add so much nutrition and make the smoothie really creamy. Who could say no to that? I am dying to try Mckel’s (from Nutrition Stripped) Mint Chocolate Chip Green Smoothie featuring the lovely avocado itself! Avocados make for a great addition to salads (especially chopped salads) which are my favorite. Shout out to chopped salads! Who could forget GUACAMOLE?! Well, I simply love making fresh guacamole and eating with fresh cut vegetables or gluten free corn chips. Yum. Sometimes knowing when produce is ready to purchase can be a hard task. Let this help you… when selecting an avocado, I put it in the palm of my hand, gently wrap my fingers around it, and squeeze very lightly. The flesh will give just a bit if it’s ripe. Wondering how to remove the flesh? Here is a guide to cutting, slicing, peeling, and pitting. Here are some more helpful tips for storing and ripening avocados because who wants to buy them and then have to throw them away if bad?! There you have it- reasons why I adore those cute little green fruits. We would LOVE to hear how you all use avocados today too! Please share some of your favorite recipes and we will make sure twitter gets it too! *Disclaimer: Although I did receive financial compensation for writing this post, all views and opinions expressed on this blog are purely and entirely my own and based on my own unique experiences. For nutrition information on avocados, please be sure to visit the Love One Today website. I (Mary) love both so I can’t wait to try!